WILDFOX debut their resort 14 ‘Dreamhouse’ collection featuring our pocket-sized friend, Barbie, in collaboration with Mattel. Renowned for their covetable slogans, uber luxurious loungewear, dreamy accessories and steamy campaigns, L.A. founded women’s label Wildfox have teamed up with our pocket-sized pal, Barbie, for their ‘Dreamhouse’ collection. Twelve pieces in total, the range serves nostalgic knitwear, Eighties-driven motifs, geo-graphics, junk food prints and candy scented fabrics (yes that’s right, they last for the first ten washes, at least). With a new fluffy teddybear fleece fabric introduced in the ‘Dreamhouse’ collection, this is another of Wildfox’s uber-lux offerings, playful and chic in equal measure. Also featuring the Foxercise work out range of gym staples, and of course sunglasses (limited edition, encased in a pink Barbie branded box) – there’s a slice of Barbie action for everyone and with a price range of £54 – £165, we can’t wait to get our hands on some. Here, we take a look at the ‘Dreamhouse’ campaign video, premiered today on Wonderland. The collection is available for purchase in Selfridges. 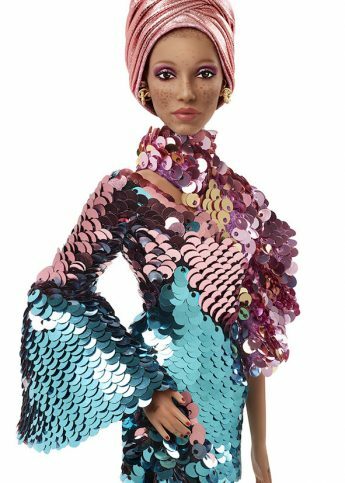 Barbie's dropped 20 new "shero" dolls inspired by IRL women, including Adwoa Aboah and Yara Shahidi. Margot Robbie will play Barbie in a live-action movie.